Twenty-seven years after passage of the Native American Graves Protection and Repatriation Act (NAGPRA), neither the 210 year-old Andover Newton Theological School (ANTS) nor the Peabody Essex Museum, which housed the ANTS collection of 1,100 Native American artifacts for over seventy years, had cataloged the collection under NAGPRA or notified possible tribal claimants. According to Peabody Essex director, Dan Monroe, when he heard that the theological school’s board had voted to withdraw eighty items from the museum and sell them, he stepped up to begin the compliance process by notifying hundreds of tribes across the country about the collection. Before that time, according to Monroe, who previously served two terms on the NAGPRA Review Committee, the Peabody Essex Museum had not acted because it did not own the collection, but only stored it for ANTS. ANTS announced in September that they would transfer ownership of their entire collection to the Peabody Essex museum, which will continue the NAGPRA repatriation process. The US Department of the Interior notified ANTS, which immediately halted the sale. After a second letter from The Department of the Interior, it began the process of inventorying their collection and contacting the tribes about repatriation of ceremonial and funerary objects. 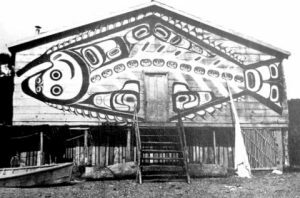 Halibut crest on a Tlingit community house in Saxman, Alaska, on Revillagigedo Island, Tongass Narrows. Built about 1889. Photograph American Museum of Natural History. Among the items in the ANTS collection are a number of objects thought to be sacred to various tribal communities. Two requests for repatriation were issued in prior years. One request in 2009 was by the Onondaga Nation for the return of a wampum belt, and another return request was made by Donovin Sprague, an archivist for the Cheyenne River Sioux Tribe, for a lock of hair from one of the tribe’s chiefs. The claim for the lock of hair has not been resolved, although human remains are usually considered clear-cut cases for repatriation. 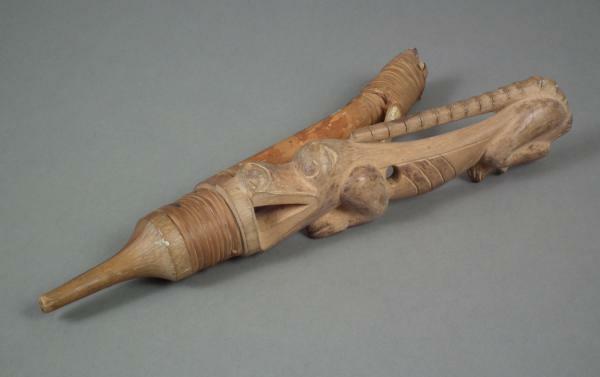 ANTS has claimed that its alumni donated the objects in its Native American collection after items were acquired by individuals doing missionary work in tribal lands across the United States. However, Indian Country Media Network’s Frank Hopper suggests that the majority of the collection was originally accumulated by the American Board of Commissioners for Foreign Missions (ABCFM), known for “opening a number of boarding schools across the country in which Native students were taught to give up their Native culture and religious beliefs.” Hopper suggests that it was through the acculturation process that the pieces later found their way into the ANTS collection. In the late 1940’s ANTS had transferred the care of the collection, but not its ownership, to the Peabody Essex Museum in Salem, Massachusetts. The museum’s Rose-Marie and Eijk van Otterloo Director and CEO, Bill Monroe estimated that the museum has spent over $700,000 conserving the collection. Monroe has been director of the museum since 1993. In 1990 the Native American Graves Protection and Repatriation Act (NAGPRA) was passed to “address the rights of lineal descendants, Indian tribes, and Native Hawaiian organizations to Native American cultural items, including human remains, funerary objects, sacred objects, and objects of cultural patrimony.” NAGPRA, 25 U.S.C.A. §§ 3001–3013, is a civil law enacted as a means of recognizing Native American interests in human remains and cultural objects found on federal lands, held by the federal government or by institutions that receive federal funding. 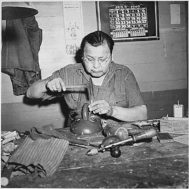 Repatriations under NAGPRA are intended to correct past abuses of Native American and Native Hawaiian ownership rights and to provide for the repatriation of culturally significant items. (A second US statute, 18 U.S.C.A. § 1170, makes trafficking in Native American human remains and cultural items obtained in violation of NAGPRA a criminal offense.) 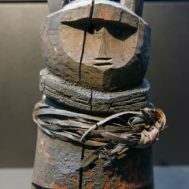 Museums and schools that receive federal funding are required to inventory Native American and Native Hawaiian objects in their possession, and to give notice to potential tribal claimants. 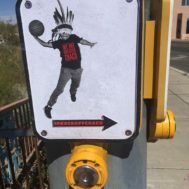 Almost three decades after passage of NAGPRA, dealers, collectors and museums are still trying to balance collectors’ rights, public interest in access, and tribal claims. The process remains challenging, in large part because of funding shortfalls and lack of a standardized procedure among museums. Concerns also remain because tribes often see what is sacred and ceremonial as proprietary knowledge and because perspectives on what should be considered sacred may change over time.